Apple vs. Samsung, Coke vs. Pepsi, McDonald’s vs. Burger King. It seems every industry out there has two giants battling for the throne. 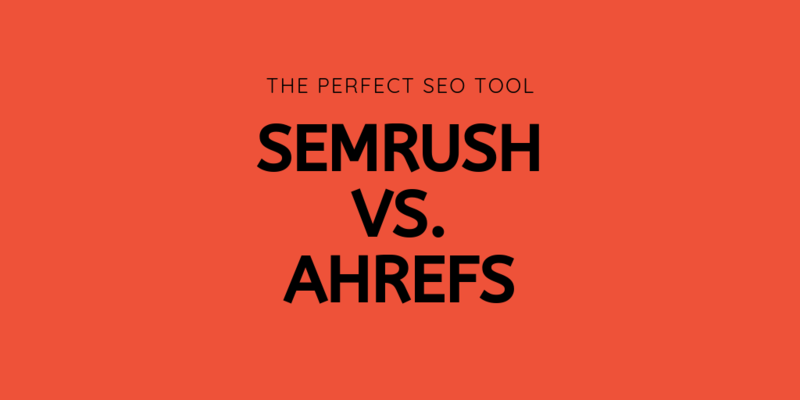 It’s similar in the world of SEO, where two tools have been competing for years as the best SEO/SEM suite for marketing professionals – SEMrush vs. Ahrefs. Both tools have their strengths and shortcomings. I have personally noticed that many SEOs favor Ahrefs lately. I’m here to make a case for SEMrush. I think it’s the more powerful of the two and gives a more comprehensive package for marketers and SEOs. Here’s why SEMrush is such an excellent tool, as well as which of its features make it stand out as a better alternative to Ahrefs. Although it wouldn’t be fair to call Ahrefs just an SEO tool, it really is just that. 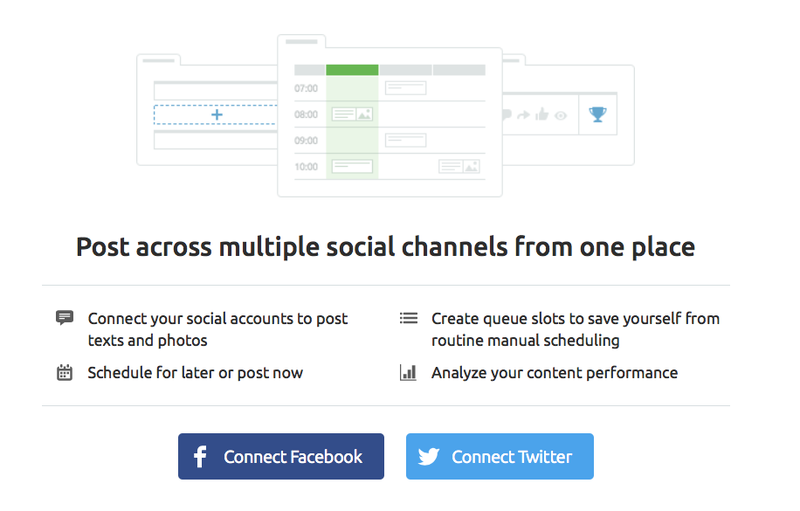 SEMrush has rolled out its Social Media Toolkit, which is extremely useful. SEMrush will save you some money that you would usually spend on other social media management tools. The SEMrush’s Social Media Poster lets you take care of all your social media content from a single place. Using this tool, you can create and schedule posts for upcoming days, weeks and months. You can create drafts and save them within the tool instead of going to Facebook, Instagram or whichever platform you’re using. Social Media Poster encourages you to get additional post ideas. The “Content Ideas” section allows you to add your favorite blogs or RSS feed URLs and post about them in one click. Besides posting, SEMrush also lets you analyze your performance against competitors. The tool is called Social Media Tracker. Simply load up your competitors’ profiles and it will show you how your posts stack up against theirs. You can see how they are performing over time in terms of growth and see the tactics they are using. Finally, the Tracker lets you find the top content in your niche so you can learn from it and re-use it. Is the Social Media Toolkit perfect? Absolutely not, as there are many other tools in the social media management market that can do the job better. CoSchedule, Hootsuite and Buffer, just to name a few. However, consider that you get it as an extra along with a comprehensive SEO and keyword research tool, it’s an excellent addition. For a small company looking for an add-on to their social media management toolkit, this is a great solution. For bigger companies that need a comprehensive social media presence, this will barely cut it. For SEOs and marketing professionals, data is the key to making any decisions. When it comes to the question of SEMrush vs. Ahrefs, their databases are the main reference points. Based on the database alone, SEMrush wins the case, hands down. It currently has over 9,4 billion keywords in its database, compared to 7,4 billion with Ahrefs. When it comes to keywords, SEMRush has 450 million, compared to 200 million with Ahrefs. Numbers don’t lie and compared to Ahrefs, SEMrush wins on all accounts. Ahrefs has a large number of useful integrations. However, SEMrush really focuses on integrating with those tools that make an SEO professional’s life easier. For example, it integrates with TapClicks, one of the most powerful data analysis tools on the market. You can connect your SEMrush with data from more than 185 other sources, such as Facebook Ads, Instagram, AdWords and much more. This integration lets you create a powerful dashboard chock-full of data you can use to make better marketing decisions. Another useful integration is one with DashThis, an analytics tool that works in a similar way to TapClicks. It’s extremely easy to connect the two accounts, and once you do, you get a range of useful presets to start collecting and arranging data. For example, you can track the number of organic keywords in top 10 results or your top position changes over time. Yext is another interesting integration with SEMrush that makes SEO a breeze. If you haven’t heard about it yet, Yext is a digital knowledge management platform. It collects public data about a business – address, phone number, working hours and more. If you’re in Local SEO waters, you’re probably well aware of how local listings are important for your business. Another integration is officially called Listing Management. It allows you to enter a business and get a complete overview of its online presence from Google, Yahoo, Bing, Facebook, Foursquare and others. Each of the listings is assessed for accuracy and the dashboard has a clear overview where you can keep everything in one place. Finally, another extremely popular tool that plenty of marketers use is called Databox. Using the Databox/SEMrush integration, you can transfer all of your SEO data into a single (or multiple) dashboard in Databox where you can track all of your KPIs with ease. Majestic is one of SEMrush’s competitors, so news of integration was somewhat of a surprise. As they say at SEMrush, using these two together can get a better and more accurate vision of your website’s backlinks. By connecting the Majestic API data with the SEMrush Backlink Audit tool, you will get a detailed overview of your backlinks. This is way more accurate than using either tool alone. To get maximum accuracy, I suggest using Google Search console data as well (which is also possible, as I’ll discuss in a minute). The bottom line is – there are some really great integrations with third-party software and SEMrush. They enable you to maximize your use of SEMrush so that it’s no longer just an SEO tool but a full marketing software suite. One thing that Ahrefs does not allow and SEMrush does that is absolutely worth mentioning is the way they connect data from Google tools. In other words, you can hook up your Analytics, Search Console and Google My Business data directly into SEMrush. Let’s see why that’s such a great idea. First, by connecting Analytics with the position tracking tool, you can measure your visibility percentage, estimated traffic and overall position for the keywords you set. When keywords are pulled directly from Analytics, you know you are measuring for all the keywords you are ranking for (including “not provided” keywords). Second, by connecting Analytics with the SEMrush On Page SEO Checker, you can get actionable insights based on your website data. Valuable metrics such as session length, page load time, bounce rate and others are fed directly into SEMrush. The tool will then give you specific ideas on how you can improve your on-page SEO. As for your Search Console data, SEMrush will import the pages and keywords your site ranks for automatically. Another neat feature is the Backlink Audit, which keeps track of your inbound and outbound links. For Ahrefs, you have to wait until the site fetches your most recent links. But you can make the process simpler and shorter with SEMrush. Simply hook up your GSC data and you will sync your backlinks in real time and SEMrush can analyze them. What’s more, you can also compose disavow files in SEMrush and upload them directly to Google’s Disavow Tool. The Organic Insights Tool is another feature in SEMrush you can hook up to your Google Analytics data. By doing this, you can analyze all of your backend site data, including impressions, position, bounce rate, goal completion and much more. That way, you can have a birds’ eye view of your analytics in one place at all times. Site Audit is a self-explanatory tool that allows insights into your site’s performance. Once you connect it with Google Analytics, it will give you priority pages that need your immediate attention, based on the number of page views and other metrics. Overall, the list of benefits you get by directly connecting SEMrush with your Google tools is fairly impressive. While Ahrefs scrapes most of the data about your site, SEMrush directly connects to it. The benefits from feeding this data into a dedicated SEO tool are immense and this is one of the major reasons why many SEOs favor SEMrush over Ahrefs. The best part? The SEMrush team went out of their way to build instructions for each of these tools on their website. 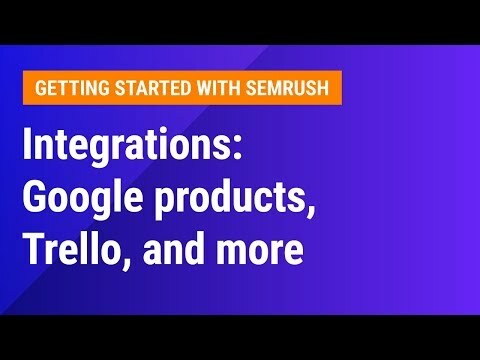 There are individual pages for each Google and third-party integration that shows you in detail how to connect these tools with SEMrush. Another aspect of SEMrush that really makes it worth the money invested is the SEO Writing Assistant. It’s an immense help in creating reader- and SEO-friendly content. Think of it as a blend of the most useful writing tools out there. The Writing Assistant analyzes your text for reading difficulty. It assigns a readability score based on a number of factors: the number of sentences, words and syllables in those words. That way, you can rest assured that your readers understand what you’re trying to say, even if they’re not that proficient in English. There’s even a neat formula for calculating reading difficulty if you’re interested in what goes into the equation. For someone who had to copy/paste text into the Hemingway Editor every time, this is a welcome change. When it comes to word count, you can set your own target and easily track it from the panel on the right. Once you enter your target keywords, the Assistant will remind you to use them all at least once. There is the “recommended keywords” tab, which is extremely useful. Based on your main keyword(s), it will give you up to 20 suggestions for similar keywords you should use. Each of them will have data on keyword difficulty and volume. So you’ll know how to make better choices as you write. Finally, it will give you suggestions on the title and check out your paragraph length. If something’s wrong with either, it will give you suggestions on how to fix them. Finally, it will give you an overall score of your copy. SEMrush Writing Assistant is a great value for the money you pay for the whole package. It’s similar to Yoast’s SEO for WordPress, but with a ton of other useful features. The keyword suggestions and keyword difficulty are an excellent addition to an already great tool. Finally, you can use the Writing Assistant as a Google Docs or WordPress add-on, so you don’t have to copy and paste your text to get feedback. Instead, you can fix your copy on the go and write more quickly and efficiently. Even though Ahrefs is an excellent all-around tool for SEO and marketing professionals, SEMrush is a better alternative. Not only does it offer the standard SEO features, but it’s also packed with lots of add-ons that make it that much better. The improved database, the ability to manage social media, the abundance of third-party integrations, the ability to hook up Google tools, as well as the Writing Assistant. 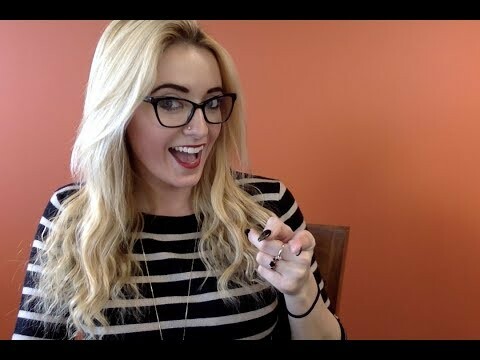 These all make SEMrush a logical choice for anyone looking for their next marketing tool. Update: Ahrefs recently decided to shut down their free-tier plans. Apparently, this has been impeding their development. We have announced this almost two years ago, but got carried away and postponed it for later.